A US Federal surveys show at least one in five children will spend some part of their youth being raised by a parent who is suffering from alcoholic or drug addiction. Children that are being victimized by addicted parents grow up with the memories of abuse and deceit to victimize others. 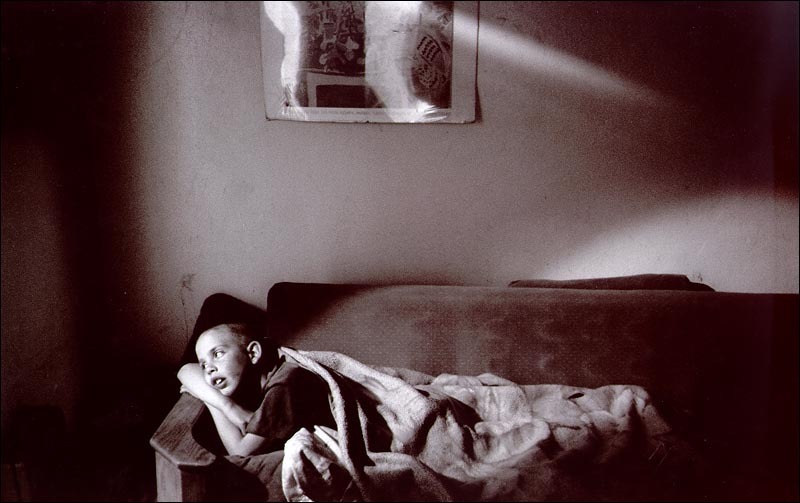 Clarence Williams, the award winning photographer, documented powerful images that capture the plight of young children whose parents have drugs, and alcohol addiction; living their daily lives with fear, neglect and helplessness. Kevin Bryan settles down for the night on the sofa in his living room, looking into the kitchen where his father’s addict friends sleep on the floor; the refrigerator and stove have been sold for drug money. At 8, Kevin, whose mother abandoned the family years ago for a man who could finance her needs, is angry and violent.